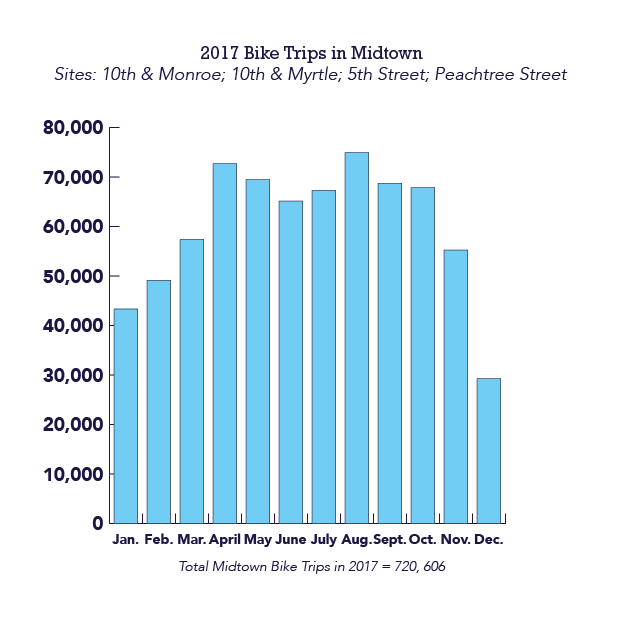 Connectivity to the Atlanta BeltLine’s Eastside Trail, coupled with more investment district-wide in bike facilities, are some of the factors contributing to the overall rise in bicycling around Midtown. The EcoCounter system uses fixed-in-the-ground loop detectors that count each instance of a cyclist riding over the detector. This means a cyclist could be counted multiple times on a given trip if the cyclist travels along a route on which multiple counters are sited. Further, cyclists riding outside the detectors (eg. on the sidewalk or in the roadway) are not counted. 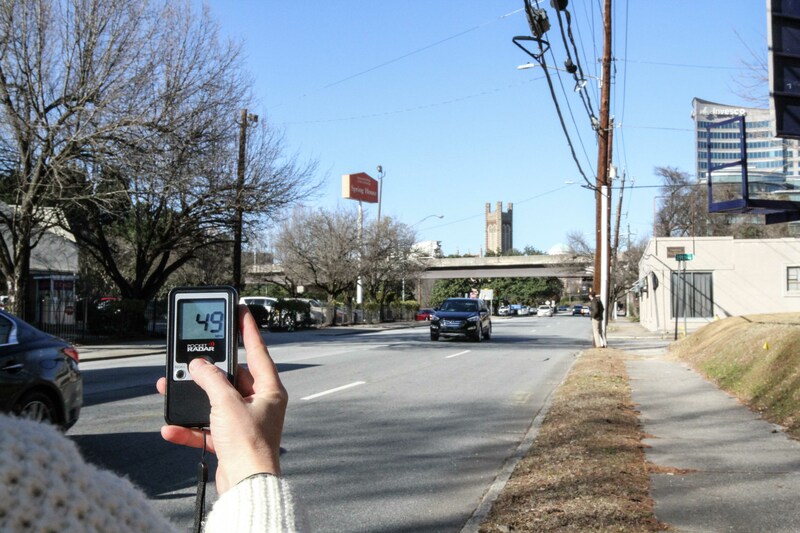 "The EcoCounters are an essential tool for building a business case for more bike connectivity,” said City of Atlanta Chief Bicycle Officer Becky Katz. “On 10th Street alone over three years, we have seen 225% growth of bike ridership. Having access to bicycle trip data will guide and show the value of future Midtown and citywide bikeways." To date, more than 25,000 people citywide have ridden a Relay Bike Share bike. The City launched its Relay Bike Share program in 2016 with 100 bikes at 10 stations. Since then, Relay has expanded to 500 bikes at 75 stations that link together 15 neighborhoods, including Midtown, which features more than a dozen stations. 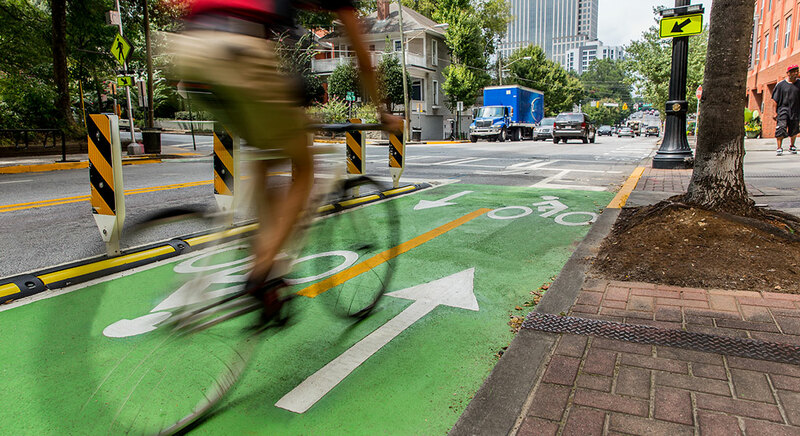 The City of Atlanta continues to make new investments in bike infrastructure. Last year, the City built 10 miles of new bikeways, raising the network grand total to more than 115 miles. Find out more in the City’s recently-published, first-ever annual report on biking, which can be viewed here. 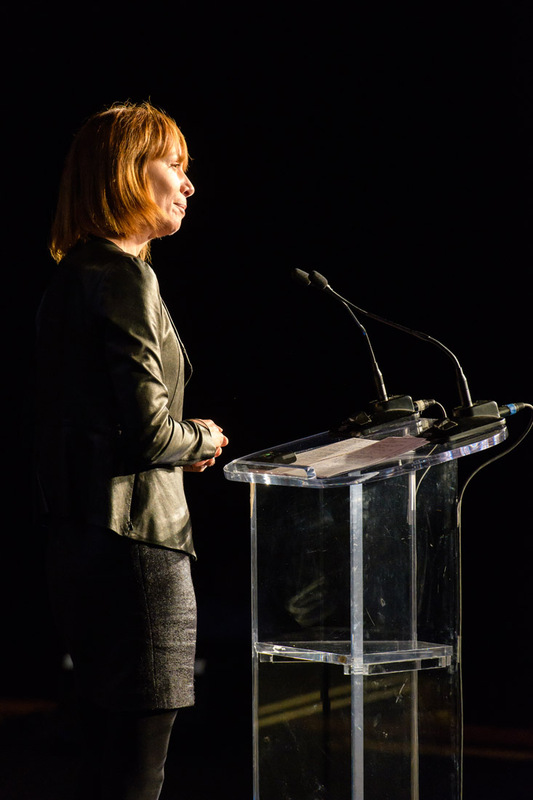 At Midtown Alliance’s recent 2018 Annual Meeting, keynote speaker Janette Sadik-Khan spoke about her experience as NYC transportation commissioner, during which she introduced 400 miles of bike lanes into the city’s street network. Among the 30+ public improvement projects on Midtown Alliance’s project list, nearly one-fourth include proposed bike facilities that would add approximately 8 miles of connectivity to the existing three-mile network. 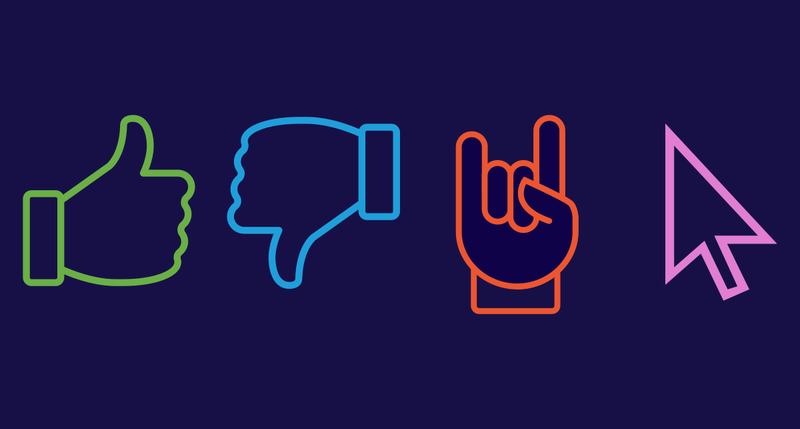 Read more about current and future projects here.